Today we released our second Ultimate Credit Card Portfolio! This one looks at the Ultimate combination of a Amex, MasterCard and Visa Card for earning Cash Back. 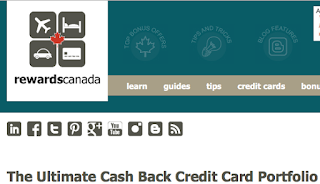 Click here to see our Ultimate Cash Back Credit Card portfolio. You can always check out our first portfolio, the Ultimate Aeroplan Credit Card Portfolio. Tomorrow is St. Patrick's Day which means KLM's Wild On Wednesday is none other than Dublin! 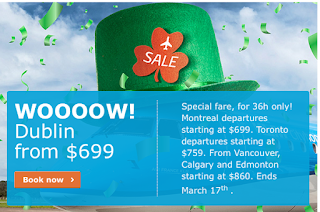 Montreal departures starting at $699. Toronto departures starting at $759. From Vancouver, Calgary and Edmonton starting at $860! Book by Mar 17. Find out more here.